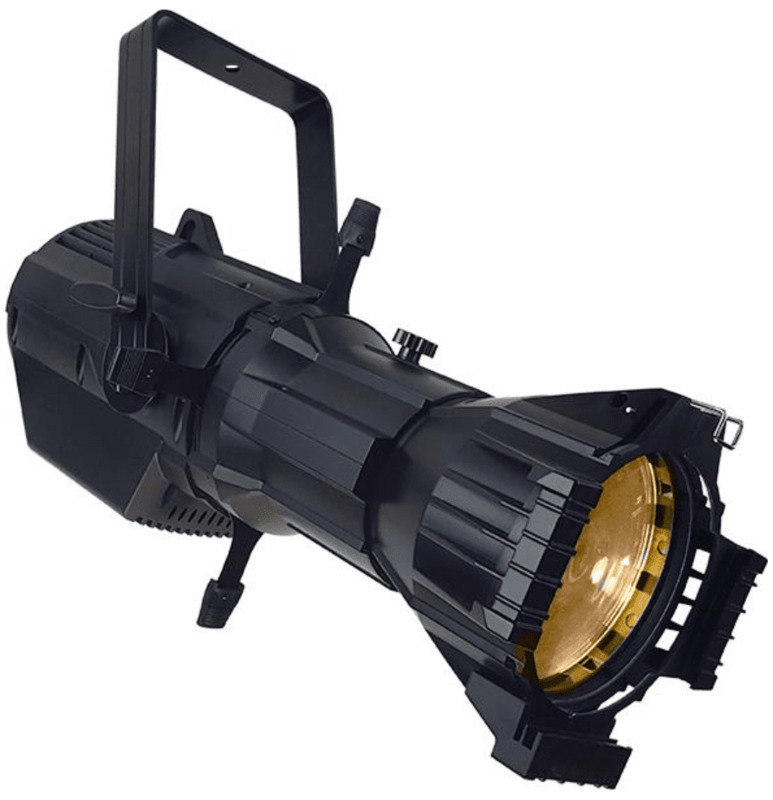 The Aria™ Profile WW is an LED ellipsoidal spot fixture that comes equipped with a high-output 200W 3200K warm white COB LED, and offers an incredible CRI of 98 to provide rich and accurate color rendition. And the LED is flicker-free, so it is perfect for video and film. Its brilliant design allows the Aria™ Profile WW to create sharp or soft edged beams with manual focus, and it has excellent framing abilities with its (4) blade shutters. These fixtures are also capable of ultra high resolution dimming (4,096 steps), and offer 1-20 fps strobe effects, plus 4 user selectable dimming curves that are easily accessible in 3-channel DMX mode or directly by use of its 4-button LCD control panel. Users have the ability to change the field angle of the light simply by swapping out the lens tube. The Aria™ Profile WW works with all of our currently available lens tubes which include 19°, 26°, 36°, and 50° making it a highly versatile fixture.